The government through the Ministry of Sports on Wednesday said it is concerned and constantly in touch with Team Kenya owing to their ordeal in Lagos Nigeria, where they spent close to 48 hours due to unavailability of connecting flights to the competition venue in Asaba. Sports Chief Administrative Secretary Noor Hassan says the ministry did its best to offer the best conditions for the athletes before and during their travel to Lagos, but the problem came with the Local organizing Committee. “They were not prepared to handle such a huge number of athletes because of the few connecting flights and more or less it is down to them. But we have been in talks with the embassy in Lagos and we know they did enough to ensure our athletes travelled. We have been in constant communication,” Noor said in a briefing on Wednesday evening at the ministry’s headquarters. Meanwhile, the Ministry says it will work to ensure the team does not face the same challenges leaving the Delta State region, saying they will make advance plans to ensure a charter plane is available for the team. “We know that the same situation might occur and we will liase with the LOC and the embassy as well to ensure we make prior arrangements,” added PS Kirimi Kaberia. Meanwhile the late arrival of the team took a tall order on them as they failed to clinch medals in the first final on Wednesday evening. Vincent Kipsang was the best placed Kenyan at fourth place in the 10,000m final. The Athletes went into the race barely five hours after arriving in Asaba having been stuck in Lagos since their arrival on Monday. 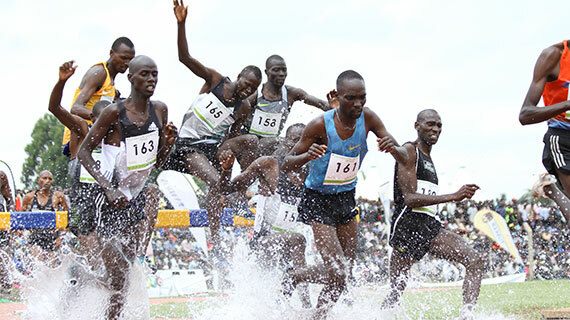 Kipsang clocked 29 minutes, 14.52 seconds in a race won by Ethiopia’s Jemal Mekonnen with Kipsang Temoi finishing fifth while Josephat Bett came in seventh.